The Tuskers must continue their recent good form as both teams look to advance their playoffs cause. 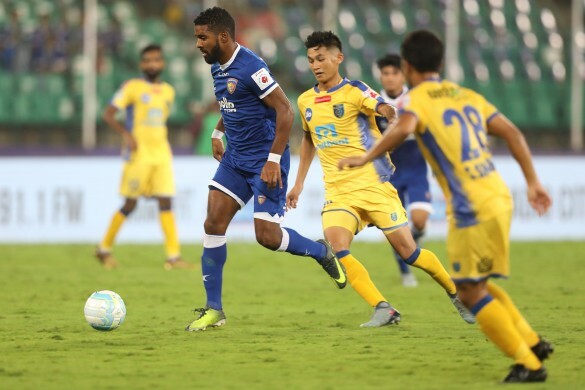 Kerala Blasters will welcome their Southern rivals Chennaiyin FC at the Jawaharlal Nehru Stadium in Kochi and the home side will look to extend their unbeaten run to five matches, with one eye on the remote possibility of making the Hero Indian Super League playoffs. Chennaiyin are not yet assured of qualification for the semifinals but even a loss will keep them among the top four. However, both teams have only two matches left. 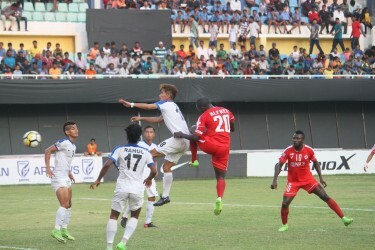 The previous match between the two sides ended in a 1-1 draw after goals in the 89th and 90th minutes from Rene Mihelic and CK Vineeth respectively. But tomorrow neither would be happy except a win and full points from this encounter. "It was a tough schedule for us to play games and then recover for a day before jumping onto the plane again. We're delighted with the number of points we've got from these last four matches. I didn't change the team that much so it has been a huge workload for them and says everything about my squad. We're where we are because of our work ethic. Now we come into this game with an unusual four-five days of rest and we are in very good shape," Chennaiyin head coach John Gregory said -- almost as if sounding a warning shot for Kerala. But this is hardly the same Kerala side that they faced early on. "They were struggling when we played them last time, individually and as a team. But with the new coach (David James) coming in with a positive attitude and has totally transformed the team," he said. James himself sounded pretty confident and said that there were initial question marks when he joined Kerala for the second time in his career. "The experience I had as a head coach was also a matter of question but from day one it was always about how Kerala Blasters is about everyone involved with the club and not just the players and the head coach. So without wanting to make it sound too easy, it was still easy to instil confidence in everyone with a support staff like mine," he said. On the upcoming game, a crucial one at that, James said that he expected an energetic match. "We expect them to win the game and get over the line. For us, we have to win the game and aim for six points (out of two games)," he said, intending that both sides will certainly go on an all-out attack. The Bulgarian has had an injury-prone season, but of late has shown much of the class that he is renowned for. A clinical finisher and very technically gifted, Berbatov inspires the Kerala frontline to surge forward with intent. He has a goal to his name and will look to make an impact against Chennaiyin from a deeper midfield role. The Brazilian has anchored his team’s midfield in a classy manner for some time now. A strong player, Augusto loves surging forward with the ball through the middle as well as the flanks. He is capable of testing the opposition goalkeeper and has an eye for goal. An excellent passer of the ball, the Brazilian also has two goals and an assist to his name this season. David James is likely to use a regular 4-4-2 formation as the Blasters look for balance between attack and defence. Kerala head coach on his team's approach for their last two games: "We expect Chennaiyin to try and win the game to get over the line. As for ourselves, we have to win. Six points is all we can go for. I think we are in a scenario where we may get the six points, and it still would not matter. But the same thing always comes up: we need six points." John Gregory may use a 4-2-3-1 formation, which will depend on service from the wide areas and midfield for the striker.